Vance Joy has launched a cute lyric video for his song ‘Saturday Sun’; the fourth single from his long-awaited second studio album ‘Nation Of Two’. It’s the same lively acoustic vibe we’re used to hearing, and we can’t wait to hear more of it. 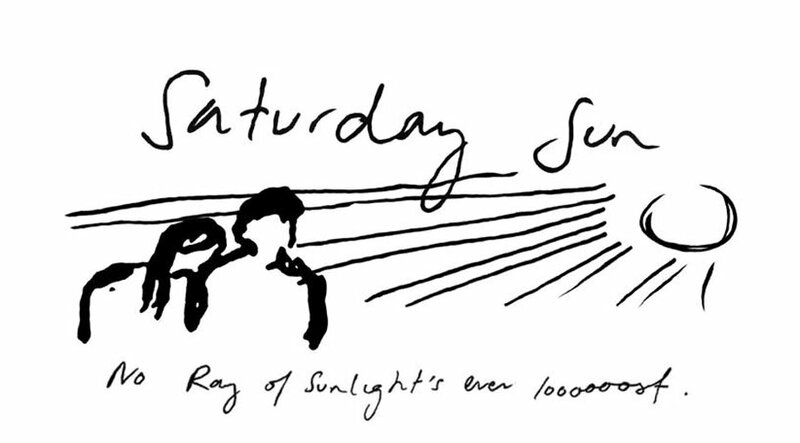 The Melbourne singer unleashed something of an animation as part of the lyric video for ‘Saturday Sun’; a sketch resembling a man and a woman huddled together under the rays of the sunlight, as handwritten lyrics fly by across the bottom of the screen. It follows the already released ‘We’re Going Home’ and ‘Like Gold’, as well as last year’s lead single ‘Lay It on Me’ which went Platinum in Australian. His forthcoming sophomore album ‘Nation of Two’ is a love compilation about a couple whose whole life revolves around each other. Vance Joy will be touring across Europe this Spring, kicking off at the Stylus in Leeds on March 6th 2018 and concluding at Berlin’s Huxleys Neue Welt on March 17th. ‘Nation of Two’ will be released on February 23rd 2018 through Liberation Music.